Looking for easy Christmas recipes? You're at the right place. 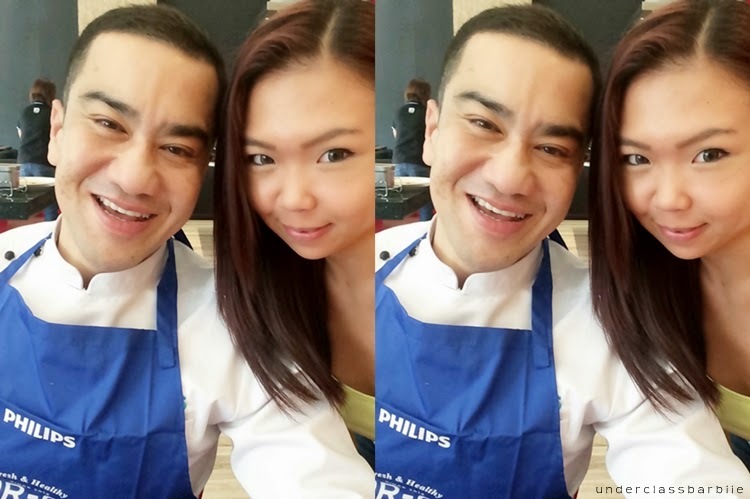 Cooking gives me such joy, which is why I was so excited to be invited to the Christmas Cooking with Philips and Chef Zam event. It was definitely a new experience for me as we were required to cook after learning the steps to the recipes as demonstrated by the chef. It gave us the opportunity for a hands-on participation, rather than just taking notes and eating readily prepared food. I was reluctant at first (I attended the event with a fully prepped face and salon-washed hair), but the feeling of being to cook alongside other food enthusiasts under the watchful guidance of the chef really did make the entire experience very engaging and interesting. The chic Chef Zam's @Work food studio being loaded with sophisticated Philips kitchen appliances. 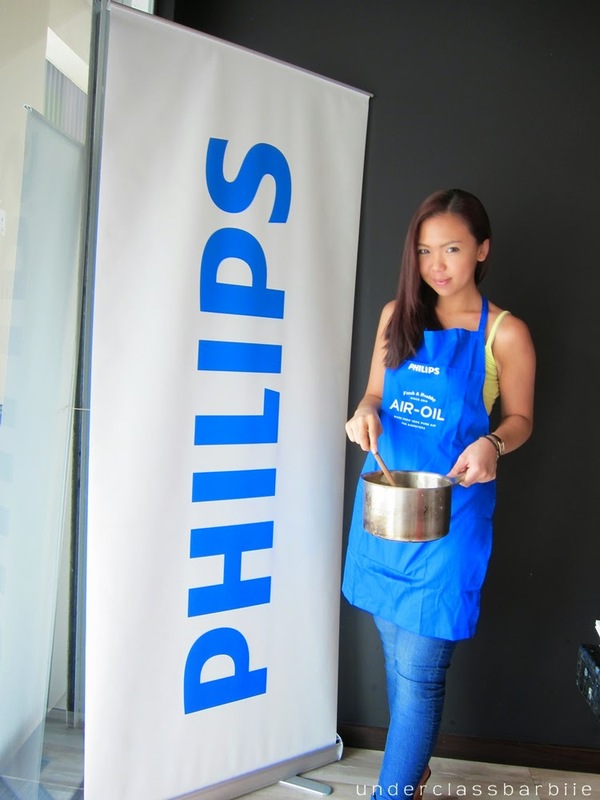 The adept and talented celebrity chef took us through four delicious yet simple-to-follow recipes that were easily prepared using the ever handy Philips appliances. Food prepared include ayam percik, chicken risotto, while desserts consisted of Cretan Kalitsounia and banana Nutella spring rolls. Chef Zam started off with the famous Terengganu and Kelantanese dish, ayam percik. This eminent dish hails from Northeastern Malaysia and is well-liked by people from all around the country. It is usually served alongside the distinguished blue-colored nasi kerabu, ulam, crackers, and the savory belacan. A whole chicken is marinated with blended red onions, garlic, ginger, lemongrass and cumin powder. It is then left to chill in the refrigerator. In a pot, saute the blended paste of shallots, garlic, ginger, shrimp paste, and chili paste. Add condensed coconut milk, fenugreek, and crushed lemongrass. Add salt and sugar to taste and saute sauce for about 30 minutes until it thickens. Remove chicken from the refrigerator, pour (percik) the sauce over it, and bake for 10 minutes in the Philips Airfryer on 150°C. Repeat similar steps, and bake for another 10 minutes or until chicken is fully cooked. Risotto isn't something that I would make on a regular basis due to the lengthy time and hassle involved throughout the cooking process. However, Philips managed to sweep me off my feet, yet again. Using the Philips Electric Pressure Cooker, Chef Zam managed to fudge together a delicious pot of risotto without even having to keep tabs on the cooking process and not a single stir was needed in the early stages. It's just tossing in ingredients after ingredients and closing the lid shut and giving it enough time to cook. After about half an hour of doing nothing, your pot of risotto is miraculously done! The cooking process was honestly so effortless that most of the time, we just stood behind the counter, taking selfies and wondering what we could actually do since Philips appliances have obviously taken over every task there was. The chef made both the cretan kalitsounia and spring rolls using the convenient ready-made fillo pastry as the crust. He layered them (about 4-5 sheets) using melted butter as adhesive. Originated from the Greek island of Crete, cretan kalitsounia are little pastries most commonly filled with fresh and soft cheese, and drizzled with warm sugary syrup just before they are eaten. They make a delightful holiday tradition and a perfect all-day snack. The recipe of the filling put together by Chef Zam consisted of ricotta cheese, eggs, and honey which are blended together. As for the syrup, sugar and cinnamon sticks are boiled in a pot of water until the solution thickens. The banana nutella spring roll is delicious and effortless to make. Using the same crust, place a small chunk of ripe banana, and coat it with your topping of choice. Nutella and peanut butter is used as shown above. When that is done, seal it using egg wash. When everything is rolled and ready to go, give them each a last brush of melted butter before putting them into the magnificent and godly airfryer for about 8 minutes at 190°. When that is done, you will have beautiful hot golden brown pastries ready to be devoured. Required to prepare a quick perfect 3-course meal? No sweat. A table filled with awesome food! I would say that the recipes put together by Chef Zam are fail-safe and exceedingly easy to follow. Now everyone can be a chef with these simple recipes, together with the help of the sophisticated Philips appliances. Can't wait to wow my family and friends with this newly acquired knowledge! Thanks, Chef Zam, for the great demo and insight! The day spend with Chef Zam and Philips definitely felt like I was being brought on a world tour, traveling through different countries as I went along. 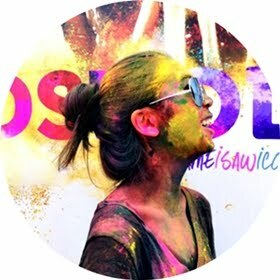 I got to learn and taste food from different parts of the world, making the experience fun and eye-opening. Looking forward for the next one! I hate the greasiness. I would love to try this product, especially if foods taste just as good. This could be revolutionary!